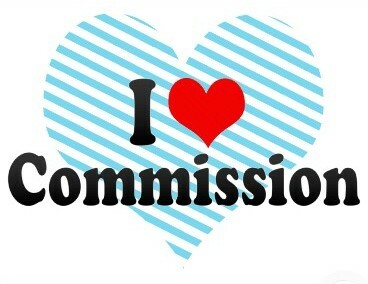 Commission discussions are ones that I try to stay away from especially in public forums and blogs. The reality is that despite what the Canadian Competition Bureau has told the press, all commissions are negotiable. There are already lots of different real estate models out there, and for better or worse, more real estate models are born every week. So the point of this blog entry is to not really talking about different rates per se but rather how you, as an agent, justify the rate that you charge. I have been in the real estate business for many years and if there are a few fundamental truths about commission. First, good, hard-working, successful seasoned agents rarely discount their commissions. Second, agents that discount their commissions ALWAYS discount their commissions. Third, once you become known as a discounter there is no way you can reinvent yourself as a full service agent and fourth, new agents fold easily and cut commissions without a struggle. You may have already decided that you want to join, what I like to call “The Race for the Bottom”. That is, simply, the agent who sees no value in the work that we do. He or she is happy to make a living a few hundred dollars at a time. In which case you really don’t need to prove anything. You don’t need to hold yourself up to a higher standard, just higher than the next discount agent (or not). You are not interested in higher education or training and you probably don’t care to know if you are breaking the law or not. World financial events mean little, just as long as you get your sign on the lawn. Track record? who cares. Brand? not interested. Client’s best interests? Not so much. And then there is the alternative. Be dedicated to your craft. Learn, experience, work to be the best you can be. What I always say to new realtors who have made the decision to be full service agents is that they must be disciplined, active and strive to be best in class. Part of that act, the act of being the best, means that you are compensated properly for the work that you do. The most successful agents in our company have perfected their responses to the few who ask for commission breaks. They are consummate professionals who put their clients at ease. They show their value, their plan and their committment. And if all else fails, they can hold their heads up high and tell the potential client that they simply can’t lower their rates. Obviously, new agents are hungry for the deal, and faced with the choice of not getting a listing versus getting a listing at a reduced rate, the new agent takes the road of least resistance so, as a brokerage, our job is to remind and reinforce our value proposition to our agents, new and old. When new agents tell me they lost a listing because of commission, my response is always the same; keep working on your value proposition. If you are new to the business, highlight the track record of your firm (if the firm has one). ← What’s your Mantra? I Will Sell This House Today!